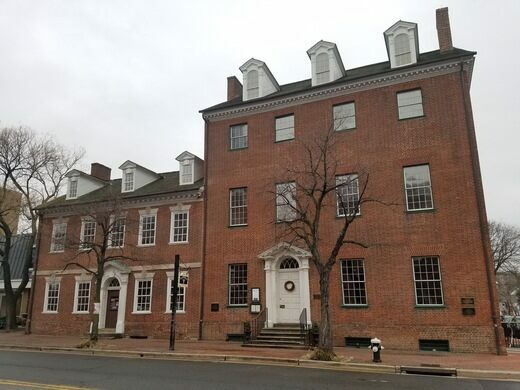 Built in 1785, Gadsby’s Tavern in Old Town Alexandria, Virginia, just across the river from Washington, D.C., was one of the premier establishments in the area back when the United States was just a fledgling nation. 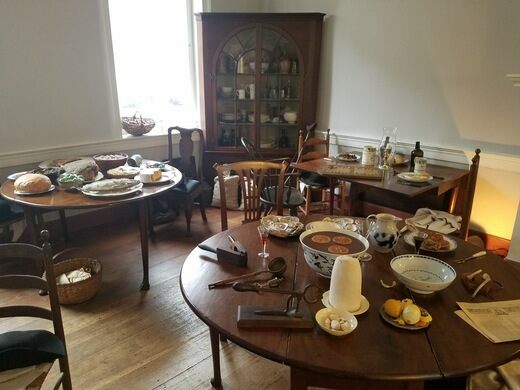 Counted among the Gadsby’s famous guests are several American Founding Fathers, as well as the French hero of the Revolutionary War, General Marquis de Lafayette. 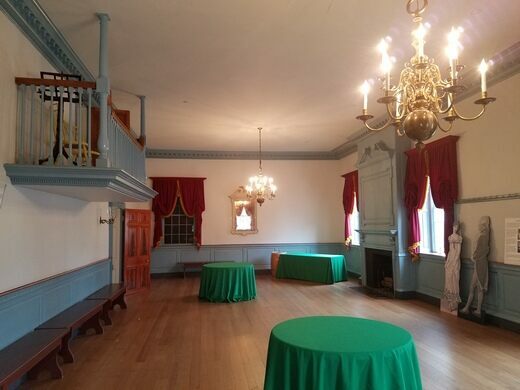 Presidents George Washington, John Adams, Thomas Jefferson, James Madison, and James Monroe are all known to have visited the tavern; Jefferson, a native Virginian, even held his inaugural ball here. Yet despite being host to such prominent dignitaries, Gadsby’s Tavern was frequented by guests of more common means as well. In an era where the average white male earned between $1.00 and $1.50 per day, Gadsby’s charged 50 cents for a meal with beer or cider included. 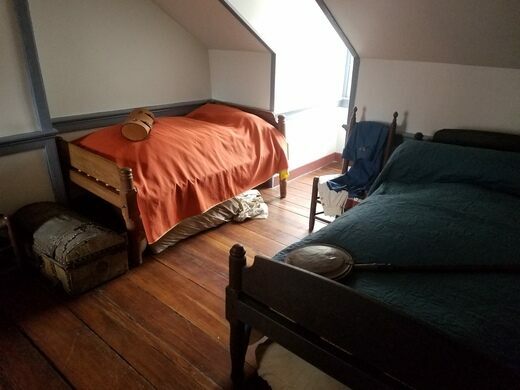 To spend the night at at the inn cost only 20 cents, though guests would have to squeeze together, with up to three people sharing each bed. By the early 1900s, Gadsby’s had been renamed as the City Hotel and Tavern and was no longer seen as the fashionable destination it had once been. Over the subsequent decades, the tavern closed and fell into disrepair. The city began plans to demolish the structure, but it was saved by the local chapter of the American Legion, who repaired the building and used it as their lodge. 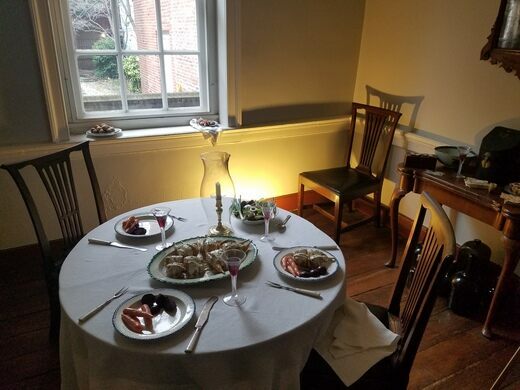 Today the building operates as both a museum preserving an approximation of what the building looked like in its colonial heyday, and as the Gadsby’s Tavern Restaurant, which serves menu items inspired by what would have been served in the colonial era. Check the website for hours, as they are seasonal.